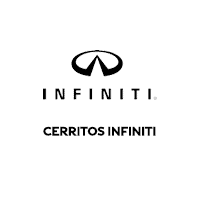 At Cerritos INFINITI, we strive to provide our local drivers in Long Beach, Torrance, and Fullerton with a seamless and stress-free car buying experience. From our impressive INFINITI vehicle inventory to our trusted finance department, we’re here for you. We also realize that one of the toughest parts of any car shopping journey is getting started: finding the model that suits your lifestyle, personality, wants, and needs to a T. That’s where our online INFINITI vehicle reviews come in handy. By providing the most up-to-date information on the INFINITI models in our showroom, our vehicle reviews save you the frustration that comes with piecing together facts and figures as you jump from one web page to the next. With our online vehicle reviews, all you need to do is click, sit back, and read to find all the information you need to select the INFINITI for you. All that’s missing is you behind the wheel! When you pair our complete INFINITI selection with our informative online vehicle reviews, finding your ideal INFINITI is simple. Once you’ve taken a little bit of time to read through our reviews, you can further explore the model you’re after in our online vehicle showroom. From there, schedule a test drive or two to see how your top picks perform on the road. The process is quick and easy, and soon you’ll be driving home to Long Beach, Torrance, or Fullerton in your brand-new INFINITI! Ready to check out our INFINITI vehicle reviews and get all the details you’re looking for? Click one of the links on this page for the model you’re interested in to get started.